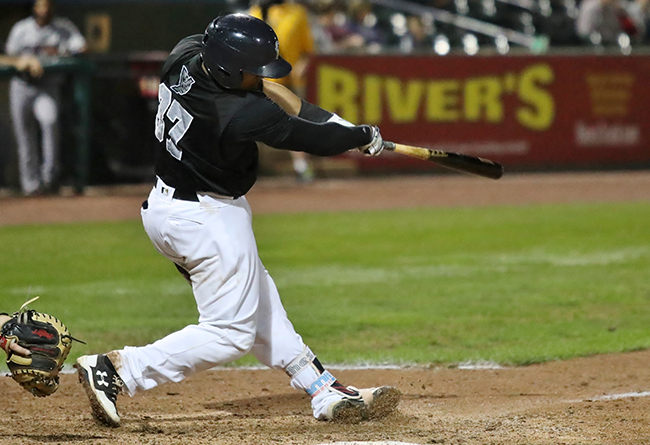 The York Revolution has announced its first three player signings for the 2019 season. 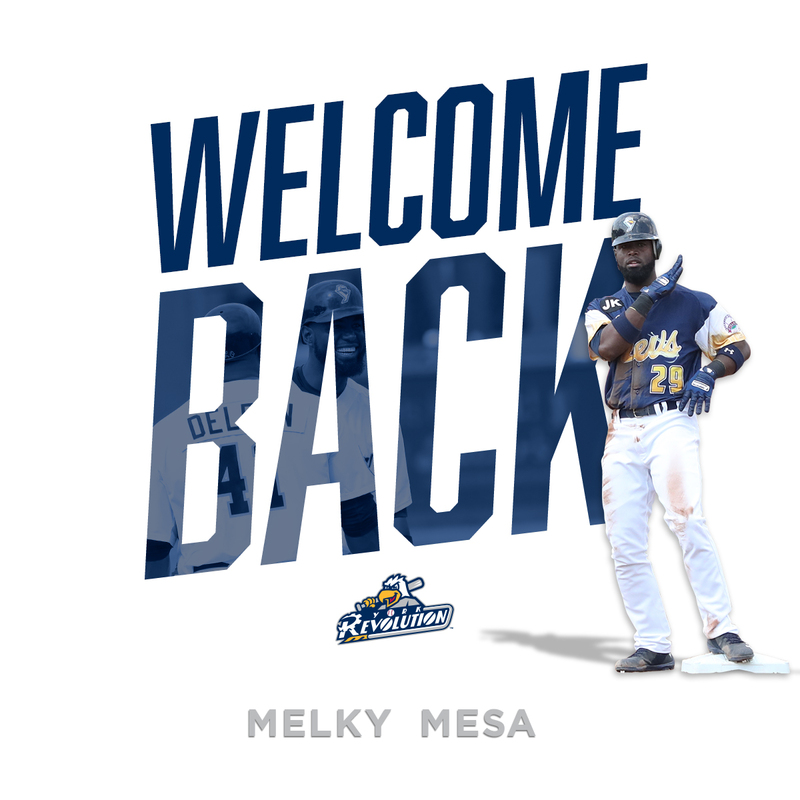 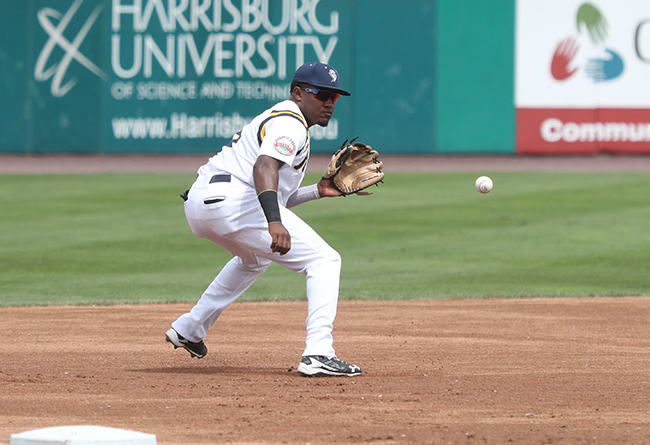 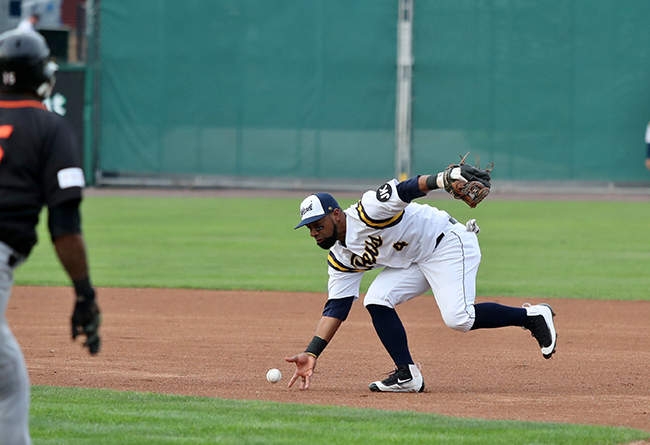 The club has re-signed 2018 team MVP and Atlantic League All-Star Melky Mesa, while bringing on right-handed pitchers Jeffrey Rosa and Fabian Roman. 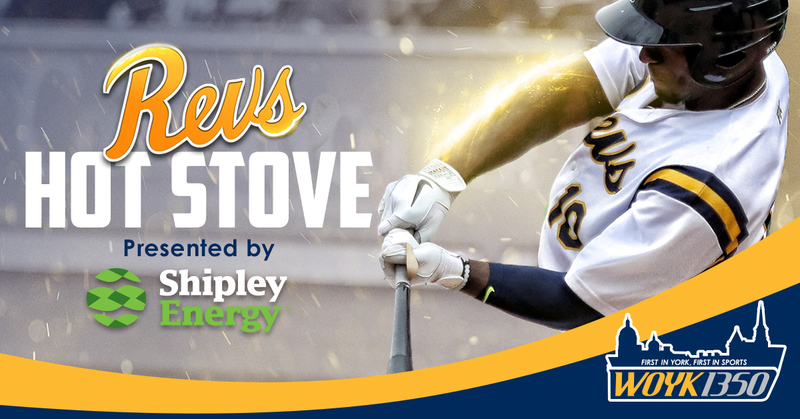 The signings were unveiled live by manager Mark Mason on Tuesday evening’s airing of “Revs Hot Stove Weekly presented by Shipley Energy” on SportsRadio 1350 WOYK. 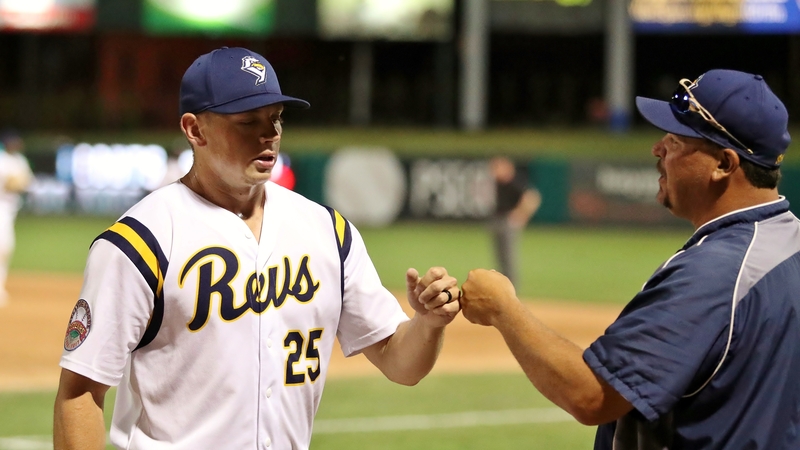 Revs Hot Stove Weekly returns to WOYK this Tuesday! 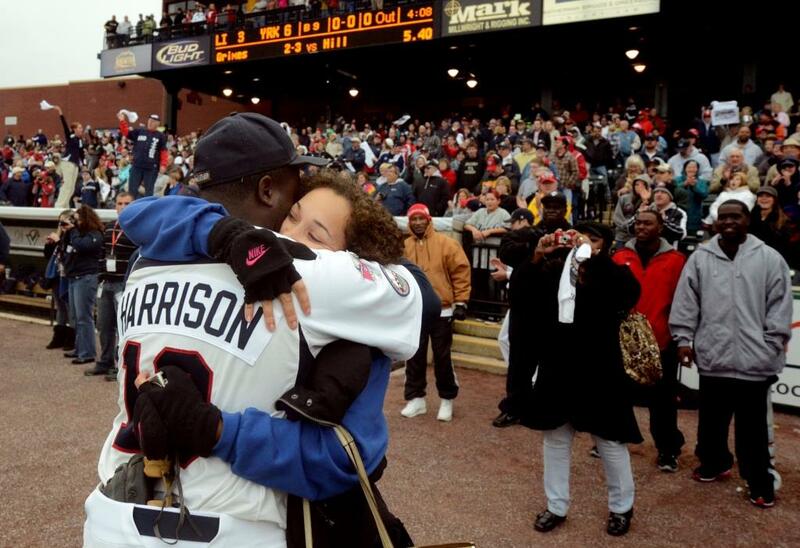 Vince Harrison hugs his wife, Ericka, on October 2, 2011 following the Revolution’s 6-3 win over Long Island to clinch the Atlantic League Championship.